Small changes to your air conditioning habits actually Save you money! In winter most will set their air conditioner around the high twenty range to keep the room cosy. The high twenty range setting could be costing you, and a small change to your air conditioner temperature setting can $ave you money! We have sourced the ideal heating temperature settings for your home or workplace from Canstar Blue. What is the best temperature to set your aircon to save on energy costs? During winter a standard air conditioner’s temperature setting should be set around 18 – 20 degrees for heating, to ensure maximum energy efficiency from your system. Australia is very large and the climate differs state from state, so this setting would not be ideal for all. 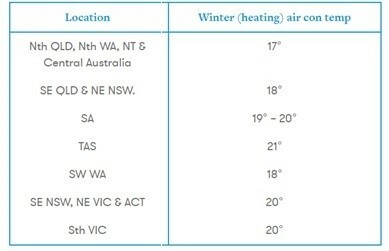 Depending on your location, below is a table that gives you a general idea on what you should set your air con temperature at the ensure savings. Why do temperature settings affect air con costs? Your air conditioner will work harder and consume more electricity if the temperature is set on a higher setting. The higher the setting the higher your energy consumption. Ergon Energy estimates that every one degree cooler in summer adds 10% to the amount of electricity that the air conditioner uses, so it would seem plausible that similar would be said for every degree hotter in winter also adds 10% to the amount of energy used by the air conditioner. 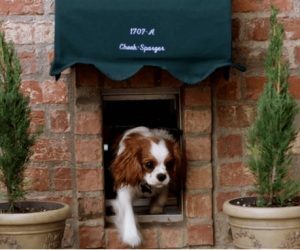 Other ways by closing windows, doors and curtains can dramatically reduce the heat escaping the room. Start at a lower temperature setting and slowly increase the setting until desired temperature has been reached, rather than quickly heating the room. Make sure your air conditioner can breath! 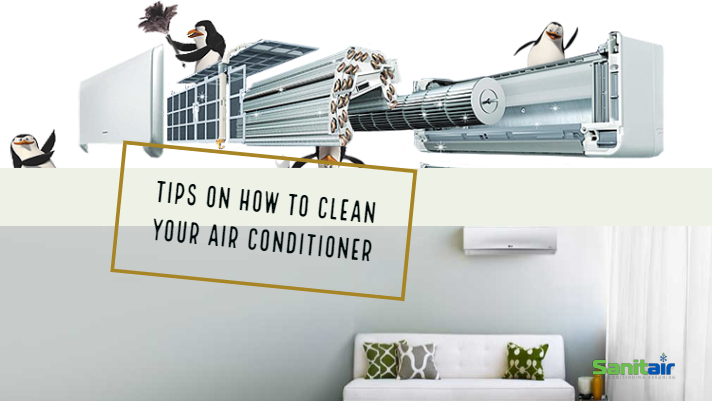 Professionally cleaning the indoor air conditioner coils will ensure the build up of contamination is removed, so your air conditioning system can run more efficiently. 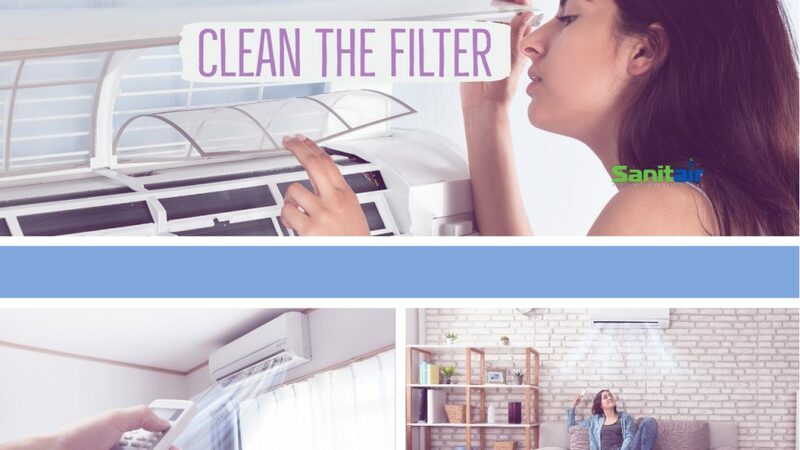 The indoor air will be improved and with a Sanitair Premium Air Con Clean you can rest assured with a 12 month mould free guarantee. Sanitair have technicians in Darwin, Cairns, Mackay, Townsville, Brisbane, Fraser Coast, Gold Coast, Sydney, Shoalhaven, Canberra, Bendigo, Melbourne, Adelaide, Tasmania, Perth, Kalgoorlie, Newman, Pilbara and more. 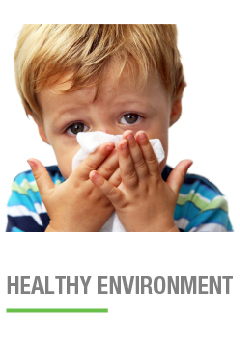 Freecall 1800 130 168 to locate your local Sanitair HVAC hygienist, with over 65 branches across Australia.